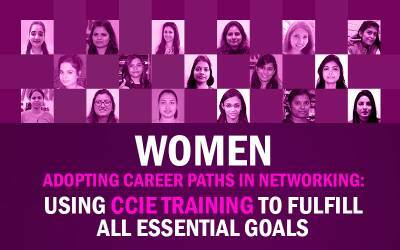 How Network Bulls' 6 Weeks CCNA Summer Training Course can Make your career Bright? What if in the next 6 weeks you can acquire skills that have great job demand? What if in the next 6 weeks in this summer you make yourself employable? But you can achieve it!! Yes, you can do all of that! Network Bulls’ 6 weeks Summer Industrial Training is what you rightly need to plunge your career to new heights and carve your niche in the field of networking. Recommended read: Why Network Bulls' CCNA Summer Training is the best choice for Networking Students in India? Network Bulls offers different summer training courses and every networking summer training program covers the blueprint of one or more Cisco certification course. So, with the completion of your summer training course + projects, you can also complete your Cisco certification. Cisco certification courses are the most demanded and the highest paid IT certification courses. Yes, the certification course can help you to pave your path for a bright career. In addition, all our summer training programs are projects based summer training program. Thus, you can also successfully complete your practical project during the summer training. 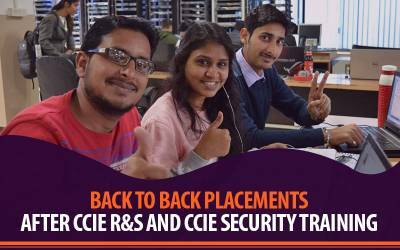 Coming back to the 6 Weeks CCNA Summer Training, let's explore why this is the favorite summer training course of B-Tech, BCA, MCA Students and how it makes their future bright? Network Bulls' 6 Weeks or 1.5 Months Summer Training Course covers Cisco Certified Network Associate (CCNA) Certification Routing & Switching in depth. It's a project based training program that educates attendees about networking concepts and career options after the course. Attendees go through the course as per official guidelines of CCNA provided by Cisco. Post completion of CCNA Summer training course at Network Bulls, you will be ready to appear for Cisco CCNA certification examination. Apart from the theoretical knowledge you learn the practical implementation of the technology as well as get exposure to the real networking environment. Attendees get a chance to learn at World's largest Cisco training labs, work on live routers and switches. Let's Look at a FACT! Networking Industry worldwide requires 5,00,000 Cisco CCIE Certified Experts or professionals but as on today we have only 56,000 CCIE Certified networking experts. So, it's very easy to guess that demand is very high and availability of CCIE professionals is very less. And to become CCIE Certified Engineer, everyone has to start from CCNA R&S. This clearly indicates that CCNA Certified experts have great demand not only in India but also in abroad. Service Desk Technician / Engineer and a lot more. CCNA Certification course paves your path towards a bright future as there is a vast scope of CCNA certification course in the networking industry. You might be amazed to know the annual salary range of a fresher CCNA certified professionals. 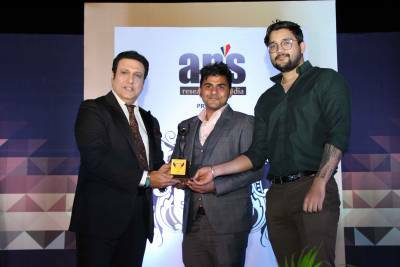 CCNA jobs' salary ranges from 1.5 Lacs/annum to 5 Lacs/annum in India; depending upon student's knowledge, technical skills, communication skills and city you are living in. With the passage of the time, your experience will increase and your salary will increase manifolds. 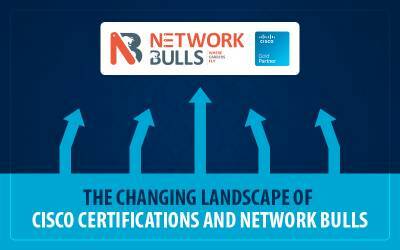 At Network Bulls, we provide summer training courses to introduce students to the real-time utility of the technology and provide them exposure to the real networking environment. Our 6 weeks summer training course is one of the most demanded summer training course as students can pursue it during their semester breaks. Download PDF How Network Bulls' 6 Weeks CCNA Summer Training Course can Make your career Bright? It includes the blueprint of Cisco CCNA certification so you can also appear for Cisco CCNA exam. It is a project-based summer training course thus you can successfully complete your practical project. You have the option to work on more than 100 live projects on network security and network implementation. You will get numerous educational facilities such as 24*7 lab facility, lifetime access to the labs, backup classes etc. which will help you to learn and grow in your career. If you are interested in Cisco Courses or summer training courses offered by Network Bulls then Contact Us on 1800-313-2545 or email us at admin@networkbulls.com. Students from outside India can connect with us over +91-8745885377.